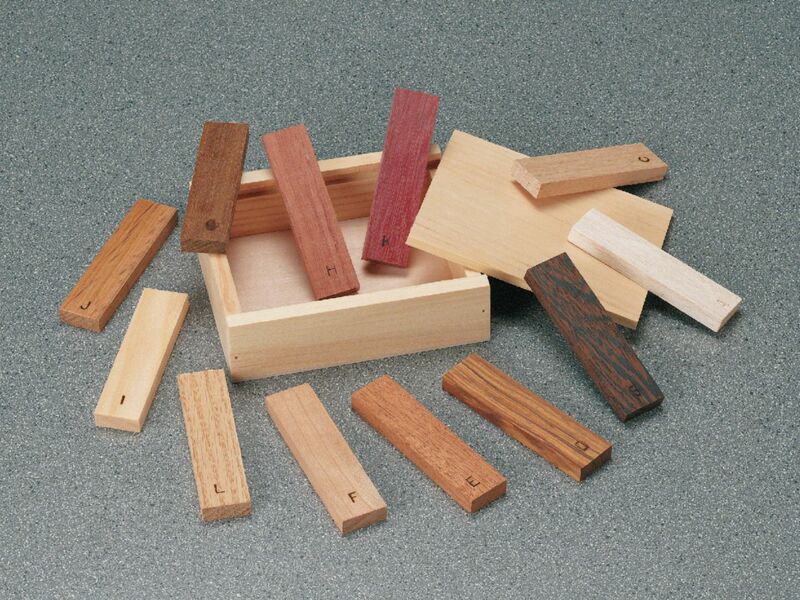 This kit contains 12 wood samples of the same approximate shape and size that allow students to see the dramatic differences in color, grain type, density, and hardness of differing wood samples from around the world. Samples include balsa, wenge, oak, lignum vitae, mahogany, cherry, ipe, bubinga, pine, teak, purplehart, and ash. A separate data sheet is provided for each sample. By measuring the samples' size and weight, the density of each sample can be determined. By using the visual as well as the measured data, students can use the data sheet to hypothesize what type of wood each sample is.